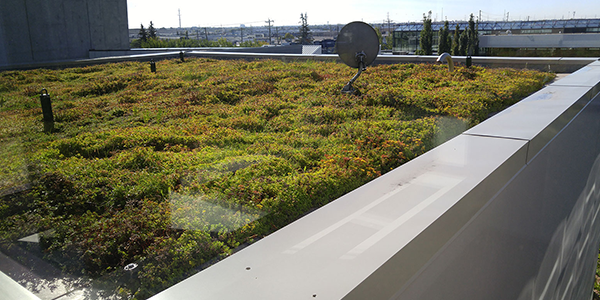 A ‘green’ or ‘living’ roof is essentially the growing of plants on our rooftops cooling and retaining heat in buildings according to different climates. Intensive, Extensive and Bio- diverse or brown roof create natural growing conditions across the roof from a thin growing layer of sedums and mosses to plants, trees, shrubs, water features and even golf courses. The vegetation has numerous advantages such insulation, habitat for wild life, rainwater control, noise control and many more.